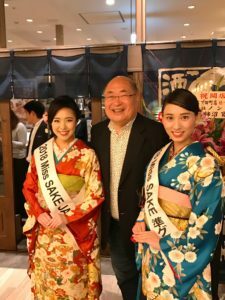 On November 13th, I attended the grand opening party of Izakaya Komahachi at “msb Tamachi,” with Miss Masayo Horii, 2018 Miss SAKE runner-up. Izakaya Komahachi is one of the legendary Japanese Izakayas with a long history. The first Izakaya Komahachi opened in Koenji, Tokyo. 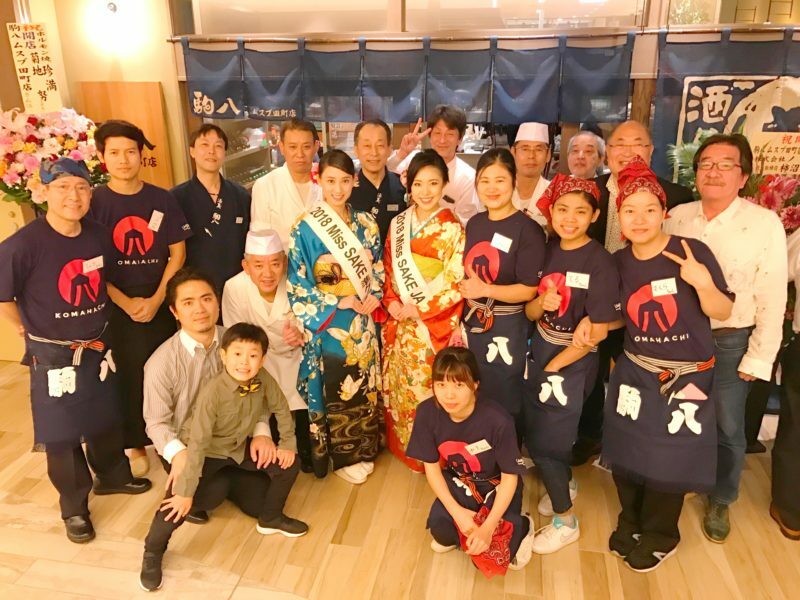 After opening the third Komahachi in Tamachi, they have expanded their Izakaya business in Tamachi. This time, a new Komahachi is going to open at the new Tamachi Station Building and we joined its opening party. The new composite facility ,“msb Tamachi,” is located very close to the Tamachi Station, and the stylish and modern atmosphere inside the building made me think it would be lived by many business people in the city. The new Izakaya Komahachi at “msb Tamachi” serves great Izakaya dishes and delicious sake. I was convinced the new Komahachi would be loved by many people, too. Once again, I express Mr. Hitoshi Yaosaka, the representative director of Komahachi Co., Ltd., and people of Izakaya Komahachi, for the new opening and wish them continued success.